Faction Citadels - The Details! If you would like to discuss this dev blog, you can do so in this thread over on the official forums! We recently made a few announcements in the Keynote and in the Structures presentation at Fanfest this year about the conversion of Outposts and Conquerable Stations to Upwell Strutcures. This devblog will outline the details you will need to know for what will be changing, when, and how you can best be prepared. Further details on all of these points, and what you will need to do to prepare, are listed below. Please read this devblog carefully and thoroughly, and be sure to add any questions or concerns you have to the discussion in the comments thread for this blog. 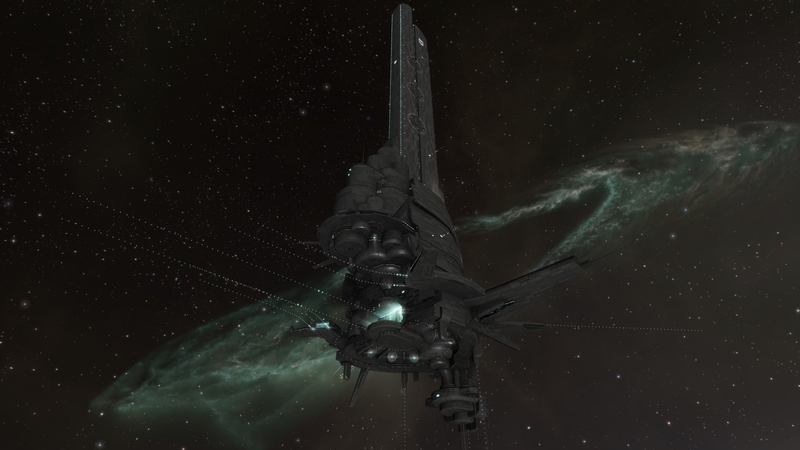 The Immensea Conquerable Stations and player-deployed Outposts have been an integral part of Null Sec space since their introduction in 2003 and 2005 respectively. These colossal structures have been the focal point of countless skirmishes, daring heists and the strongest of alliances. As Upwell Consortium continue their development of their own line of structures, their next daring steps are to reinvigorate these old testaments to New Eden's legacy, replacing them with upgraded Fortizar class structures. These new Faction Fortizars will be the most powerful of the class introduced to date and will be limited. 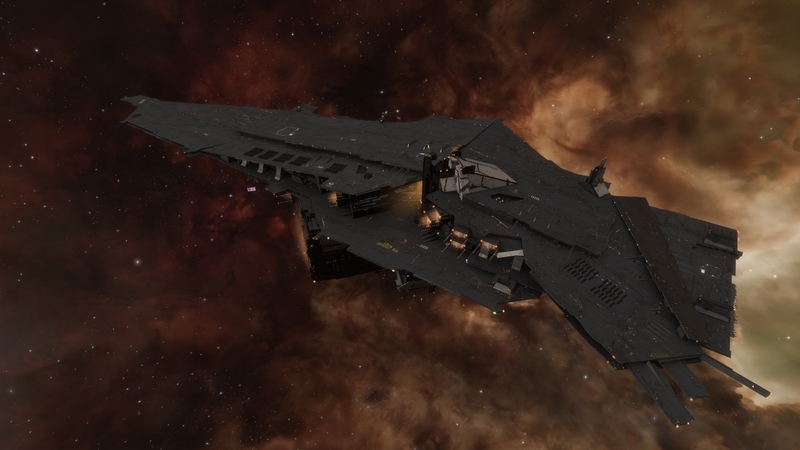 No more of these types of Faction Fortizars will ever be added to New Eden. These structures are upgraded versions of the standard Fortizars, but no blueprints will be created for them - if these structures are destroyed, it will not be possible to replace them. 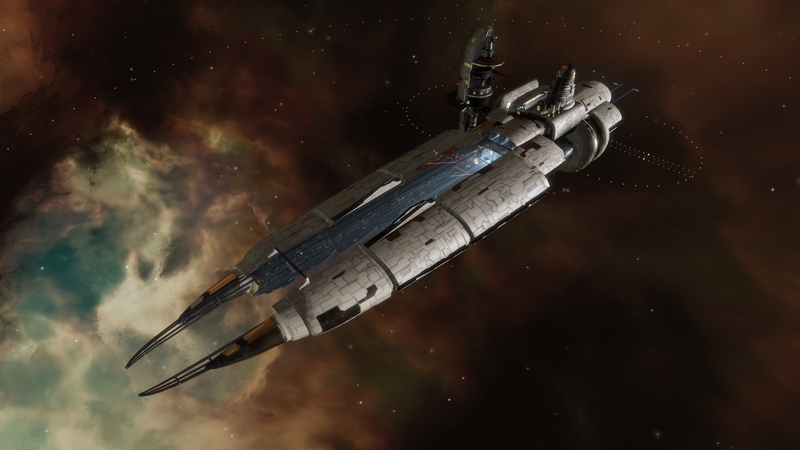 As the Conquerable Stations and Outposts have been such an important part of New Eden's history, permanent historic monuments will be erected on the sites of the Conquerable Stations and a select few of the especially storied Outposts. These monuments will include a simplified history of the station and system, and will be updated shortly after they are introduced to include the name of the alliance that controlled them last. 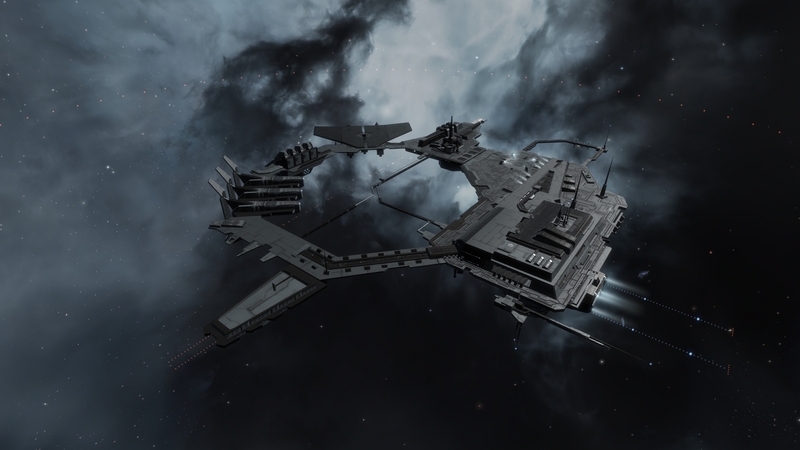 Upwell are introducing five new upgraded versions of the standard Fortizars - one for each type of Outpost and one for the Conquerable Stations. The Outpost replacement Fortizars will use a newly improved and enlarged model of the current Outposts, and will have bonuses connected to the roles they replace. These new hulls have been named by Upwell in a manner paying homage to the capsuleers who played a part in their original deployment. At the moment of change to Faction Citadels, each of the replacement Fortizars will be fitted with one powerful Special Edition rig that will combine multiple bonuses. This includes the Fortizars replacing Conquerables and un-upgraded Outposts, but upgraded Outposts will receive stronger rigs with extra bonuses connected to their upgrades. All Outpost Replacement rigs will include hitpoint, capacitor, sensor, and point defense bonuses and will only ever be available through the Outpost Replacement event. 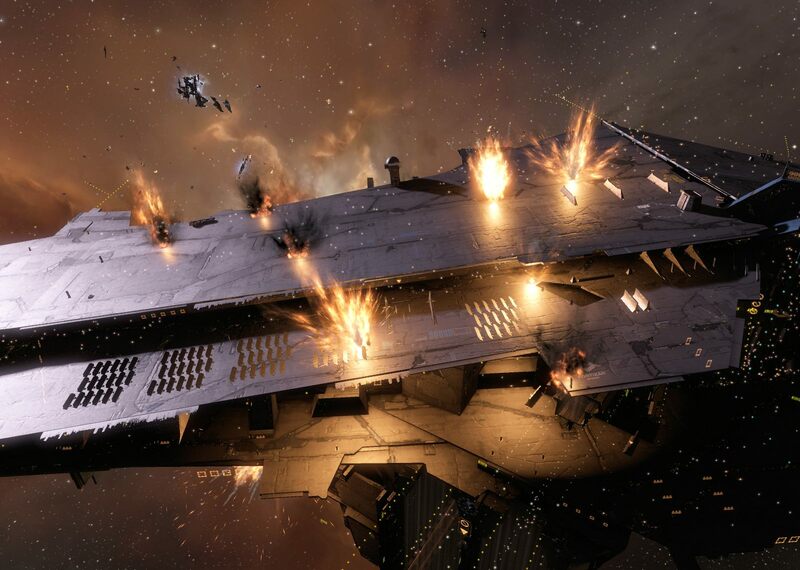 Remember, destroying or unanchoring these structures will destroy the rigs they have fitted, so while these Faction Citadels can be unanchored and redeployed in highsec, lowsec, nullsec or wormhole space, this move will come at a cost. The special rigs are not replaceable - there will be no way to acquire any more of them after this event. The current Outposts and Conquerable Stations provide bonuses to the systems they are located in, in the form of reduced industry ISK costs. New Upwell Industrial Support Facilities will replace these bonuses and will be placed in the systems that contained Outposts and Conquerables, in the form of NPC landmarks. These landmarks will not be destructible at this time. These new structures will belong to the last owner of the Outpost or Conquerable before this downtime, including those currently in Freeport or being fought over. You will need to take and hold these structures before June 5th, defending your holdings from your neighbours prior to this change. It is also imperative that you double-check which corporation controls each of your structures, for management. As these new Faction Fortizars are Upwell Structures, they will follow the rules that govern Upwell rather than the previous settings applied to the Outposts or Conquerable Stations. This means that access to docking, office rental, jump clones and the numerous other services available in these structures will now be governed by ACLs, and not standings or unconditionally. Further details about ACLs (Access Lists) can be found here. 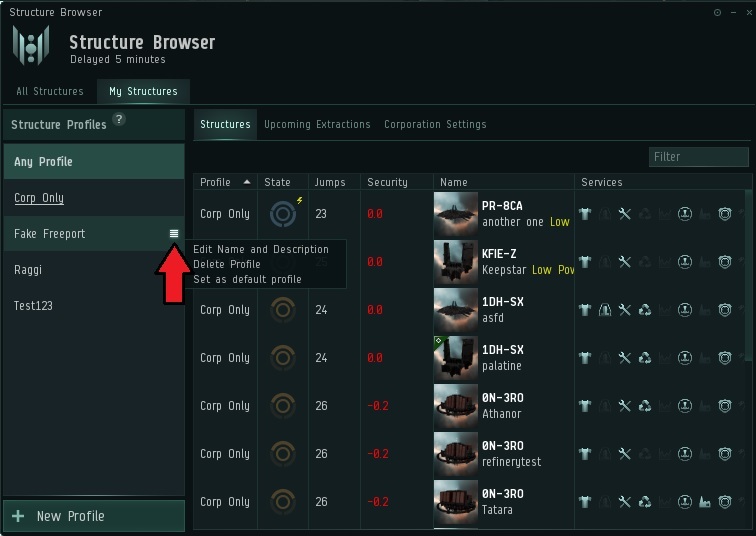 Ensure that the owning corporation is correct Ensure you have preset a Default Corp Profile (details below). Be sure to check the levels of access within this profile, including who has access to rent offices, dock, or access the other services available Ensure you have preset a Default Reinforcement Time and Day (details below). Be ready to fit your structure. The Faction Fortizars will be in an Invulnerable state as mentioned above, and during this time they can be fitted with the appropriate defences you feel they need. Since the March release, it has been possible to set a Default Profile for a corporation. This profile applies to any newly deployed structures, but is also the ACL profile that will be applied to the Faction Citadels during the Outpost Day event. To set a Default Profile, right-click against the profile you choose and select "Set as default profile". It is also possible to set a Default Reinforcement Time and Day for the corporation. Once Outposts and Conquerables are converted into Faction Citadels they will enter a temporary invulnerable mode. During this invulnerability time the structure can be fitted freely, but cannot activate modules, launch fighters, or begin unanchoring. Reinforcement time and day changes can be queued during this time but will require the standard 7 days to take effect. It is therefore a good idea to set this default before the change is scheduled to happen. The Invulnerable mode will last until Thursday June 7th. On June 7th structures will enter their standard shield vulnerable state. Further details about how Upwell Structure vulnerability states work can be found here. Please note that you will not be able to transfer ownership or decommision a structure during its initial invulnerability period. These Fortizars will also come with enough free fuel to run these services for 7 days. All Market Orders and Contracts will be transferred to the new structure. All Industrial jobs will continue to run. If a capsuleer's access to the structure or its Industrial services is lost, the installed jobs will continue to run until they complete. They will then be able to be delivered remotely. All medical and jump clones will be moved from the old Outposts and Conquerable Stations to the new Faction Fortizars. Jump Clones can be destroyed quite easily by the owners of Upwell Structures. Details on how jump clones work in Upwell Structures can be found here. All corporation and character assets will be moved to the new structures. If a corporation or individual capsuleer does not have docking access at the new structure, their assets can be retrieved by pushing them into Asset Safety. Note that once items are in asset safety, they cannot be transferred to another character until correctly delivered. Corporation offices will be moved to the new Faction Fortizars. Corp offices owned by corporations that will no longer have access to rent them (given the new ACL profile associated with the structure), will remain rented until their current bill cycle is complete, at which point the office will become impounded and can be retrieved through asset safety. There will no longer be a limit on office rental slots available in Faction Fortizars. No changes to corporation roles or the individual access of corp members will be made. However, the "Based At" function is not available in the new Faction Fortizars. Be sure to check what access your corp members have before this change. Locked blueprints will remain locked. Only bookmarks to the previous Station item itself will be updated to the new structure. 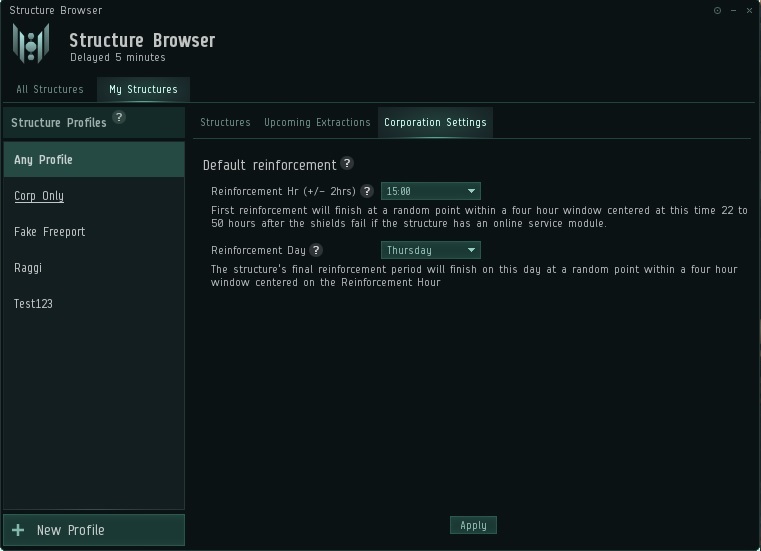 This means that some tactical corporation or personal bookmarks in the vicinity of Outposts or Conquerable Stations may now be within the geometry of the new Faction Fortizar due to the size increase and this may lead to collisions. If you or your corporation previously had certain access rights to a station but find that you do not after the change, be sure to check with the owners that you have been remembered in their new ACLs. All Upwell Structures must be owned by a corporation, even those freely open to the public. 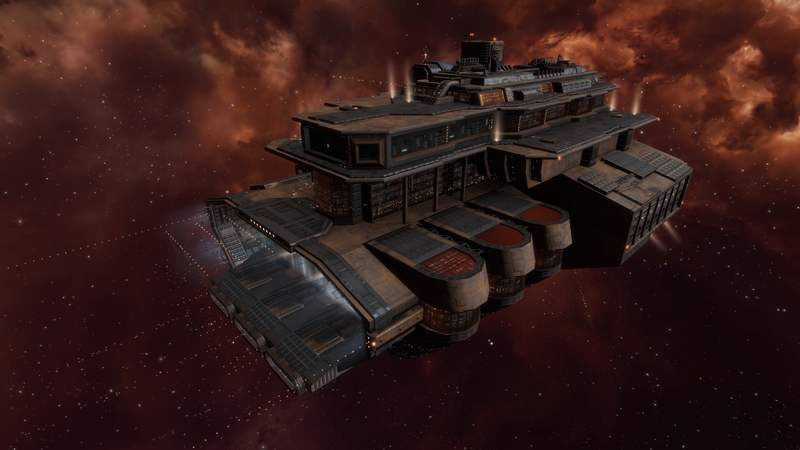 At the time of the conversion from Outposts and Conquerable Stations to Upwell Faction Fortizars, a corporation must be determined to be the owner, even those stations previously in Freeport Mode. If the Outpost/Conquerable is currently owned by a corporation, they will be the new owner and their default Profile will be applied, affecting all docking, service access, taxes, etc. If the structure is currently being fought over, but the conflict has not ended, the Defender will be the new owner. If the Outpost/Conquerable is not currently owned by a corporation and is in Freeport Mode, the last corporation to have owned the structure before it entered Freeport will automatically become the new owner. Our testing of all of these changes is well underway and we will need your help to ensure that everything runs as smoothly as possible on the date of the change. If you are able to help out, please look out for instructions and schedules of how we will be involving the Community on our various test servers here. As always, we offer you our sincere thanks for all the help we receive, and we look forward to see how you determine the new shape of New Eden to be.